The City Innovation and Sustainability team is holding our next public Data focused event – ‘Our Data Bristol. Well connected’ – 3rd October at the Watershed, 2pm-5pm. The event will bring together partners from across the city to consider how we can use data and make use of tools such as the Bristol API to support the Councils strategic priorities in our Transport, Connectivity, Homes and Communities. To find out more details and register for the event click here. 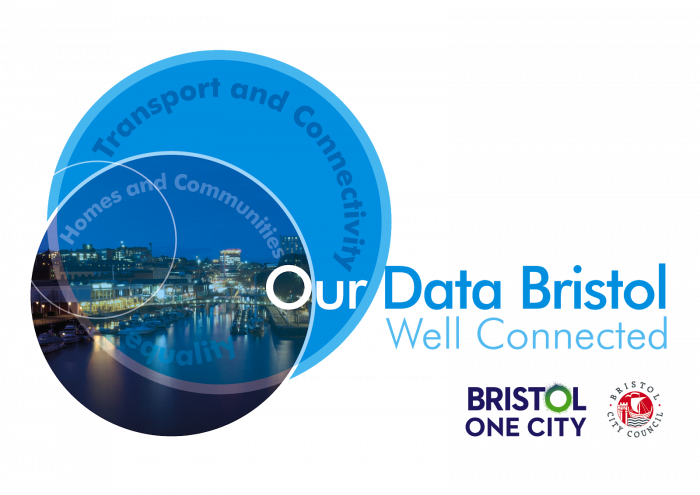 The event is part of the Our Data Bristol initiative – a data platform and programme of engagement opportunities coordinated by Bristol City Council, with contributing partner organisations and the data community. The project is aligned with the Council’s aims and objectives and will support the One City approach framework. The project has been designed to create opportunities for people to share insights into specific challenges and opportunities, build our data asset base and develop knowledge, skills and products.